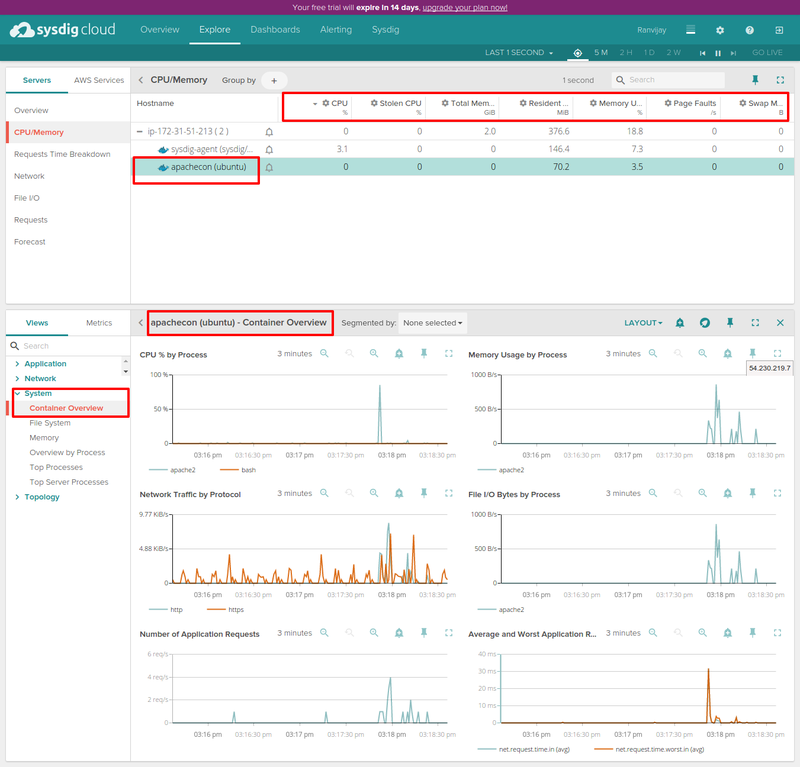 Sysdig has been one of the most advanced cloud-based tools for monitoring your infrastructure. 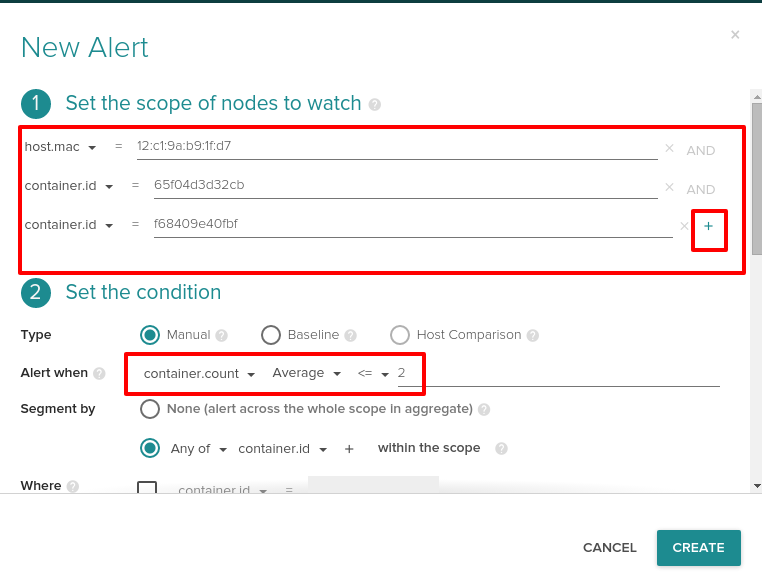 So, talking about Docker monitoring, Sysdig gives us a lot of insights about our containers, few of which we will be talking about in this blog. 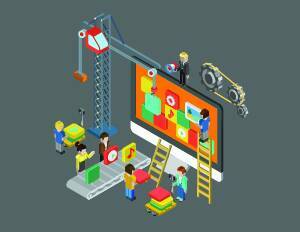 Docker is the most widely used and trending tool when it comes to DevOps. 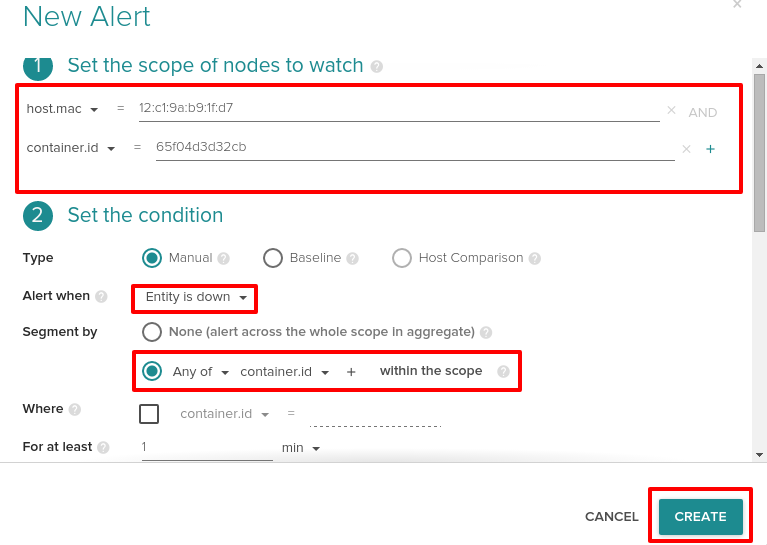 In this use-case we had to monitor Docker containers for an e-commerce web application. 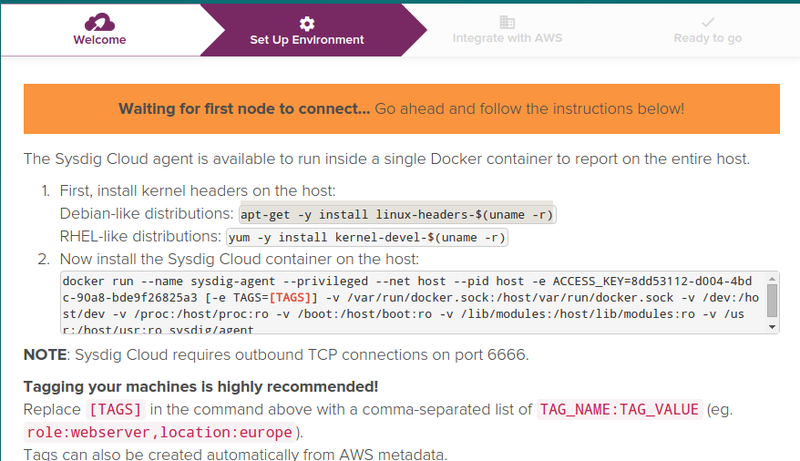 We had to find the tool which gives us all insights of the Docker containers. 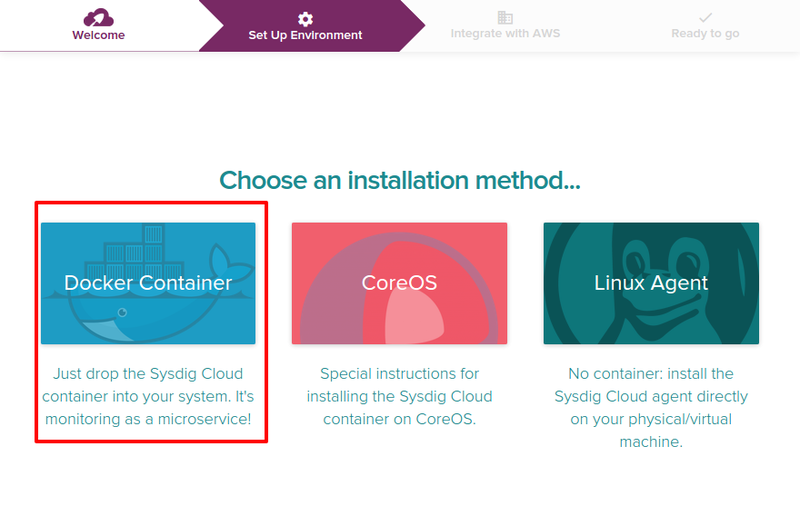 Sysdig was the next tool in our list of tools and technologies that we are using at TO THE NEW Digital. I have a container running on my host machine and apache2 service running inside it. Let’s monitor this container. 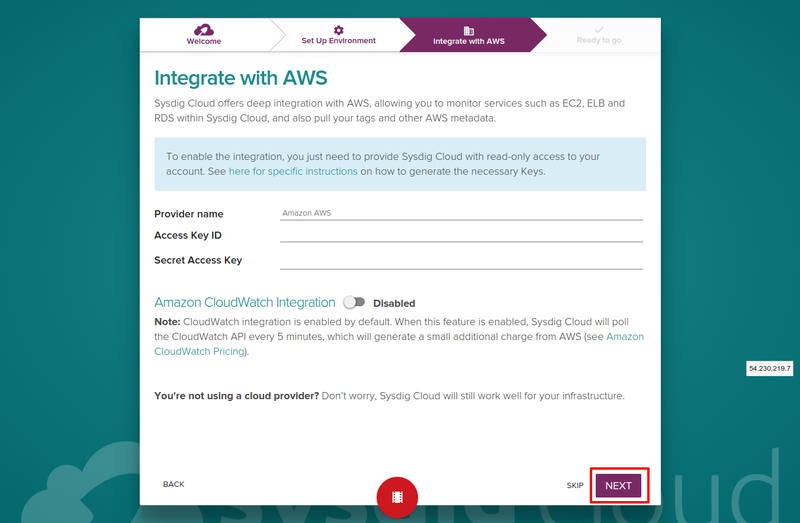 If you want any integration with AWS account go ahead and give read access to Sysdig. You can create an IAM user, attach a READ ONLY policy to the user and enter the credentials here. Since, I am just concerned about the Docker monitoring, so will skip this step clicking on SKIP. Let’s Head onto the Console to see what we have got. 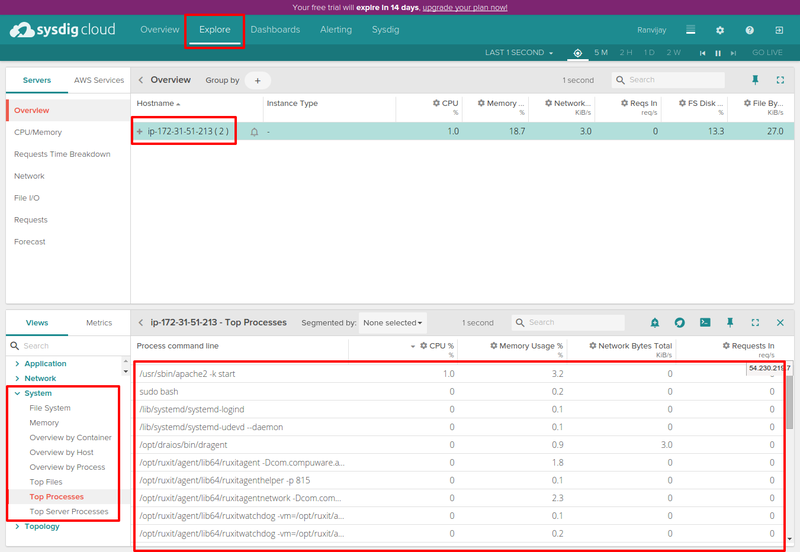 You can select Top Processes to see the top processes running inside your Docker container. Also, you can then search by process name if there are a lot of processes running. 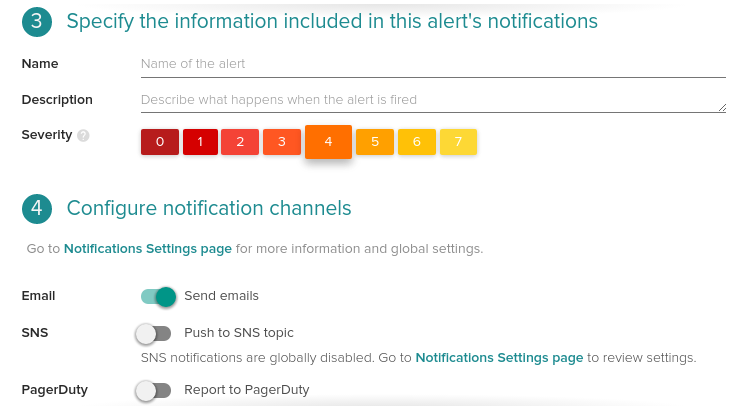 Let’s see what type of alerts can we put. It gives you 4 main topics inside which you can choose some options. Two of them are in the above image. Choosing the metrics depends on the use-case. You can choose metrics like cpu, memory etc. 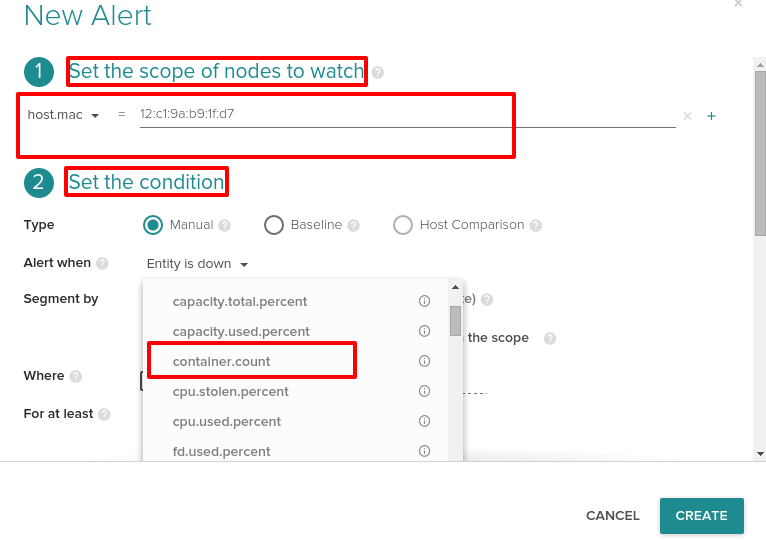 We would be interested in the Docker part of the alerting.One of the options which is Entity is Down can be put to containers too and other such metric that Sysdig gives us is Container Count. Count of the number of containers. After you are done just select on CREATE as shown in an earlier image. Now, you can put on individual containers. It will already have the container ID in the scope. Now, I can monitor if my Docker container is down. I can go go ahead and choose Entity is Down and set an alert for that. If containers within the scope are down I will be alerted. Also, I can now get all insights of my Docker containers. 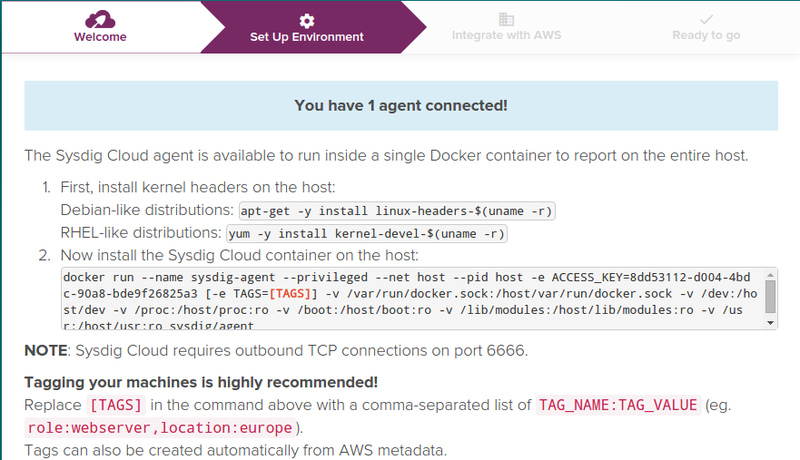 I personally found Sysdig a good way to monitor my Docker containers. I will be working with more Docker tools. Stay tuned for my new blogs.